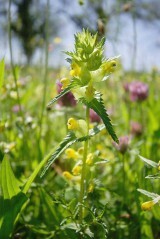 Yellow rattle is an attractive, semi-parasitic, grassland annual. In the past this plant was a serious pest for farmers as it weakens grasses and as a result can reduce hay yields by as much as 50%. In a landscape or garden context however, this suppression of grass growth is welcomed as it produces a better display of wild flowers and eases the mowing required. 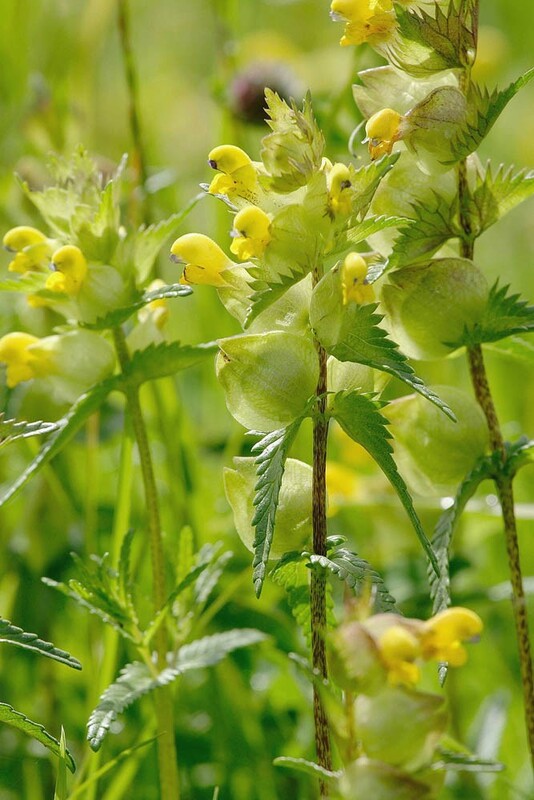 Yellow rattle germinates late February to early March, flowers in June, and sets seed in July. At the end of each growing season as the annual yellow rattle plants die away they leave behind gaps into which new wild flowers can establish. As a result, wild flower seed sown into an existing sward will establish more readily in areas where yellow rattle already does well. For a description of the plant and to order seed go to the yellow rattle species page. 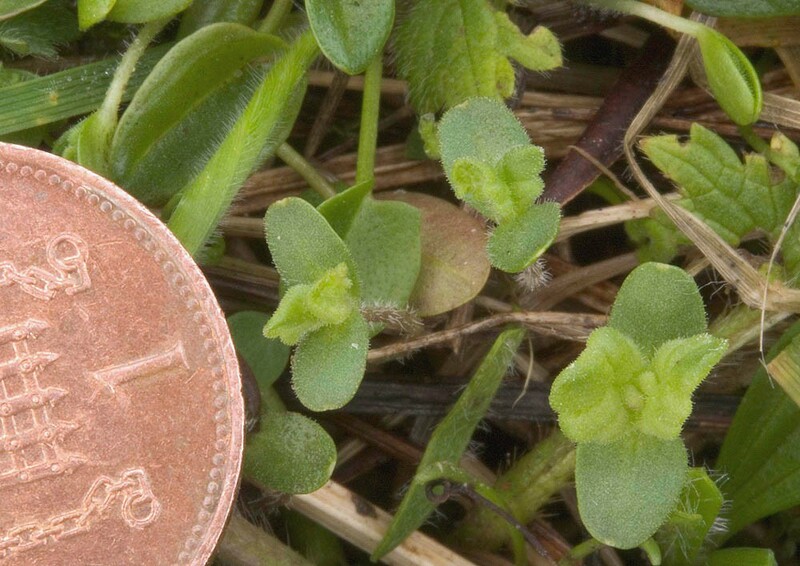 Yellow rattle establishment can be unpredictable and plant numbers may take two to three years to build up, this will depend upon the sowing rate chosen, and site conditions. Yellow rattle will not thrive in all grassland. The most suitable sites for yellow rattle will be managed grassland of low to medium fertility that contains a balanced sward of finer grasses not dominated by coarse or vigorous grass (ryegrass, cocksfoot, tall oat-grass or couch). Grassland that is the result of sowing a meadow mixture will have suitable grasses, as will finer turf in gardens and meadows. Yellow rattle often fails to take in ryegrass leys and neglected, over-grown or tussocky grassland. Cut or graze the sward in the autumn, aim to keep the grass short (40-50mm). Graze or mow before and after seeding as needed. Create gaps across the site with exposed soil for yellow rattle seed to germinate in. This can be achieved by autumn/winter grazing with stock (their hooves open the sward), or mechanically by harrowing or raking, aiming to expose up to 50% bare soil. Timing: yellow rattle seed must be sown in the autumn as it needs prolonged chilling through the winter to trigger its germination the following spring. 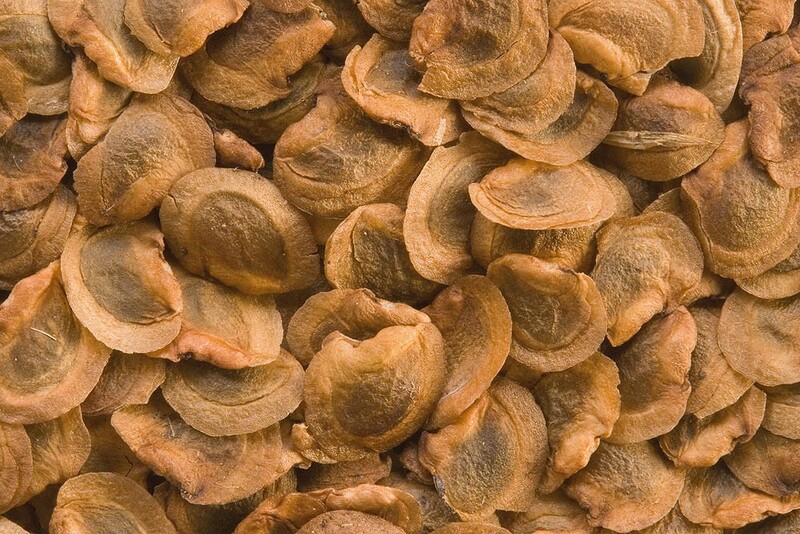 Sowing rate: yellow rattle seed should be scattered onto the prepared surface at a rate of 0.1 to 1 g/m2. Yellow rattle may be sown as a component of meadow mixtures on to a prepared seedbed. First year meadow management (mowing) can compromise seed set of yellow rattle. To be sure of getting yellow rattle in the second year, it is best to re-sow yellow rattle in the autumn of the first year (as above). Where cornfield annuals have been sown as a ‘nurse crop', yellow rattle has more opportunity to self-seed. Yellow rattle is an annual with short lived seed which needs a chance to set seed each year. Cutting or grazing between April and mid July will eliminate yellow rattle by preventing it seeding and should be avoided. Traditional meadow management based around a late July hay cut provides yellow rattle with the opportunity to set seed and for the seed to scatter during the process of haymaking. Autumn grazing, or mowing and harrowing, is also important each year as it will help to keep the sward open. This is important in providing new sites in to which yellow rattle can establish the following spring. Yellow rattle populations tend to fluctuate in meadows and often ‘move' about from year to year as a reflection of the balance of health of the yellow rattle plants and their host plants in any one patch. Yellow rattle will parasitize many flower species, not just grasses. It would appear to be opportunistic in selecting the more vigorous components of a sward which is often the grasses and clovers. Concern is sometimes expressed that very successful yellow rattle populations can have a negative effect on the composition of a meadow. Our advice is that as with most semi-natural grassland communities containing yellow rattle a balanced equilibrium will usually establish itself over time. If deemed necessary however, yellow rattle can be reduced or eliminated by mowing to prevent seeding for one season.